As a Hi-Tech enterprise, Quanzhou Yongtai Machinery Co., Ltd. has been specialized in the R&D and manufacturing of hot melt spraying and coating equipment for ten years. Our products can be widely used in such industries as footwear, clothing, packaging, compound & lamination, crafts, electronics, automobiles, printing and hygiene. Yongtai pursues outstanding quality throughput, and develops and innovates unceasingly. We have a group of qualified personnel in specific fields of machinery, industrial automation, computer and management, with many years of actual operation experience. We adopt perfect quality assurance system in the whole course of making, installation and debugging to guarantee the high quality of products and excellent performance. The product processing equipment is complete and measurement facility is complete. We never let defective products leave our factory. 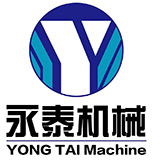 Yongtai brings up large quantities of technical exquisite project service troops, provides customers with perfect pre-sale, sales and after-sale services, and makes product quality and service maximally satisfying different customers demands. Along with the unceasing renewal of product technology, we provide users with reliable updated service at the same time. We will grasp the policy of "unremitting exploration, diligent innovation". Yongtai product quality is excellent, the value is much over the price, and Yongtai will be the best choice for all customers. We will be unremitting and diligent to create magnificence together with you.